Apple Music has now launched. Here we run you through full details on Apple Music plus iTunes Match compatibility, Beats 1 radio and Sonos support. Apple Music matches other streaming services with a $9.99 price in the US - £9.99 in the UK. There's also a $14.99 family version for up to six family members. Again, £14.99. You can try it free for three months. Even if you're not an Apple Music member, you can still stream Beats 1 (more on that shortly). Apple Music enables you to stream everything from iTunes (that includes The Beatles). There will be stacks of curated playlists as well as full recommendations for albums and playlists. Unsigned artists will also be able to share their music using the service, while there's also a Connect area where artists can post their latest tracks and behind-the-scenes photos. It's essentially a tool for artist-fan interaction. Apple's first attempt at a social network was the forgettable Ping, which lived inside iTunes. Connect seems somewhat similar, only it lives inside Music. Connect sounds good, with the promise of a new way for artists to connect to fans - if they didn't already do this stuff on Facebook and Twitter. The Beats 1 radio station is now live. Led by Zane Lowe, Ebro Darden and Julie Adenuga, it will broadcast live in over 100 countries, 24/7, from New York, LA and London. Apple promises “exclusive interviews, guest hosts, and the best of what's going on in the world of music”. The general concept sounds pretty much like the 48 year-old BBC Radio 1 to us. 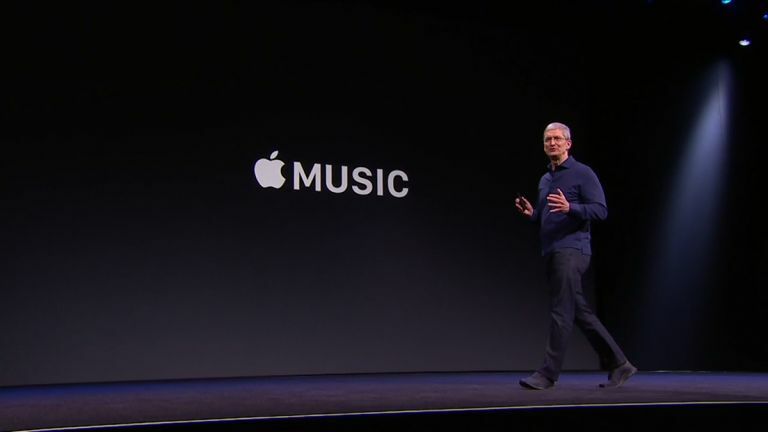 Apple Music will also be available from iTunes on PC or Mac. Obviously you'll need an Apple ID to sign in to it. An Android app is coming, but isn't ready as yet. As if that wasn't enough pre-launch information, the aforementioned Ian Rogers took to Twitter to confirm that Sonos support is coming "as soon as possible", something Apple said would be along before the end of the year. So there you have it on the year's biggest music service launch: get ready to watch for that update alert tomorrow morning/afternoon depending on your time zone, and sit tight for an iTunes Match upgrade and support for your Sonos speakers.